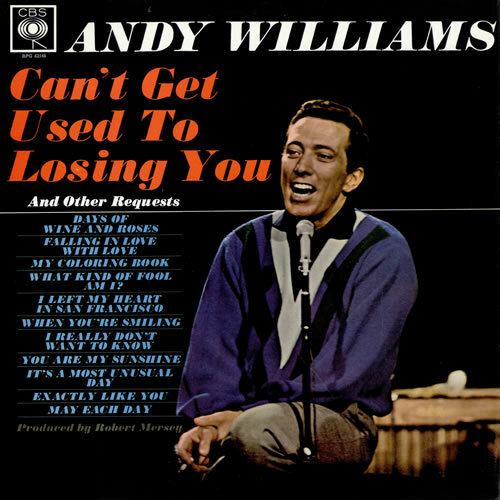 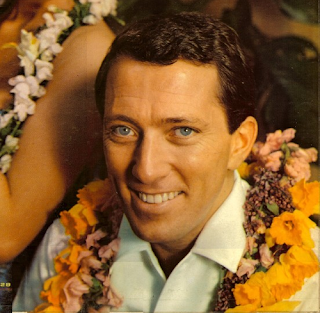 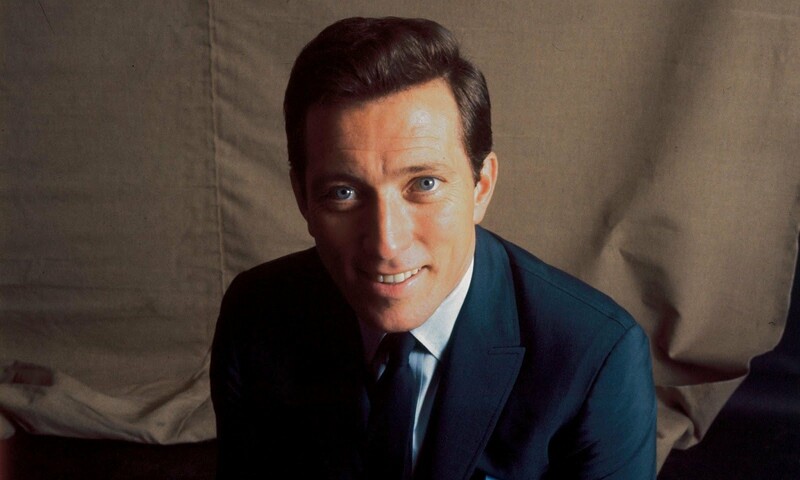 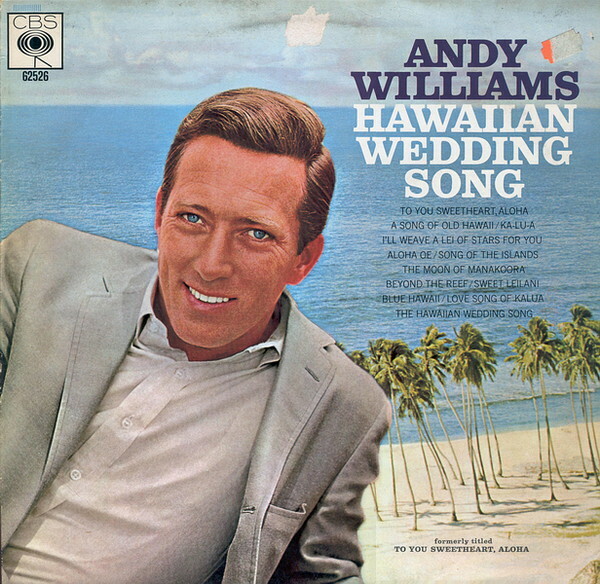 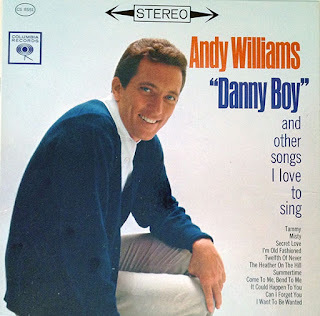 Here are several songs performed by one of America’s greatest singers, Andy Williams. 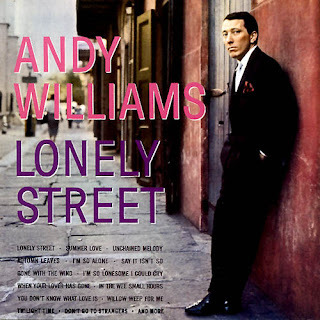 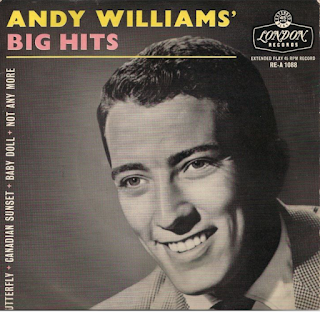 Howard Andrew "Andy" Williams (1927 – 2012) was an American popular music singer. He recorded 44 albums in his career, fifteen of which have been Gold-certified and three of which have been Platinum-certified. 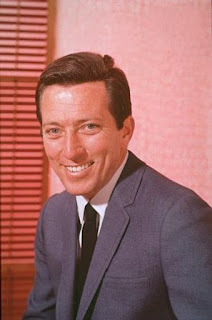 He hosted The Andy Williams Show, a television variety show, from 1962 to 1971, and numerous television specials. 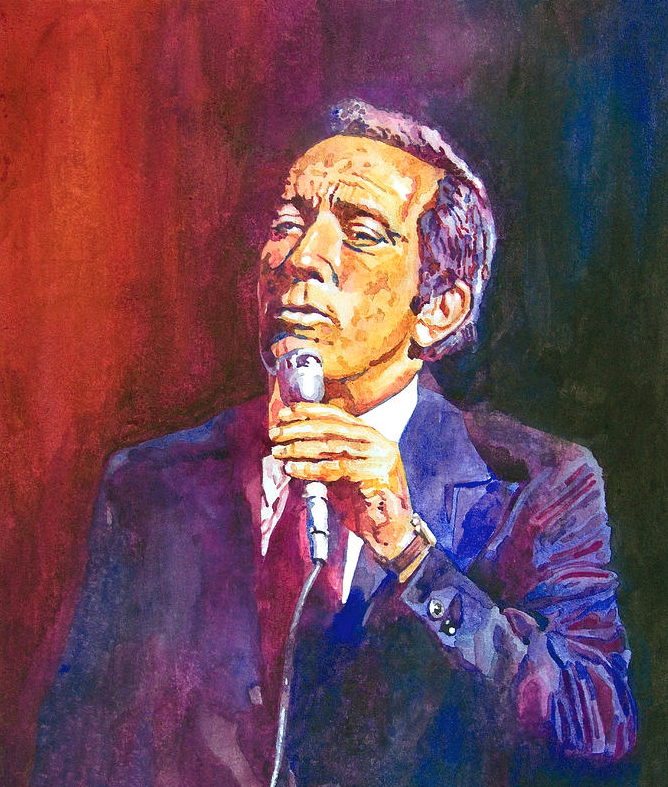 The Moon River Theatre in Branson, Missouri, is named after the song he is most known for singing—Johnny Mercer and Henry Mancini's "Moon River". Moving to Los Angeles in 1943, the Williams Brothers sang with Bing Crosby on the hit record "Swinging on a Star" (1944). 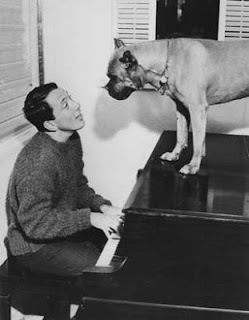 They appeared in four musical films: Janie (1944), Kansas City Kitty (1944), Something in the Wind (1947) and Ladies' Man (1947). 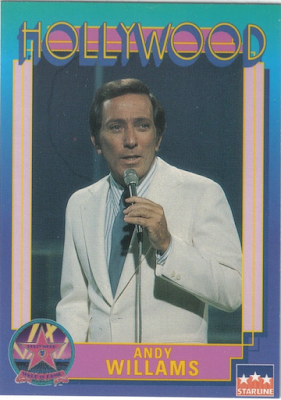 By then, Thompson was tired of working behind the scenes at MGM so, with the four Williams boys as her backup singers and dancers, she formed a nightclub act called Kay Thompson and the Williams Brothers. They made their debut in Las Vegas in 1947 and became an overnight sensation. Within a year, they were the highest paid nightclub act in the world, breaking records wherever they appeared. 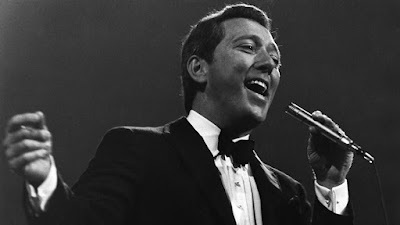 The act broke up in 1949 but reunited for another hugely successful tour from the fall of 1951 through the summer of 1953. 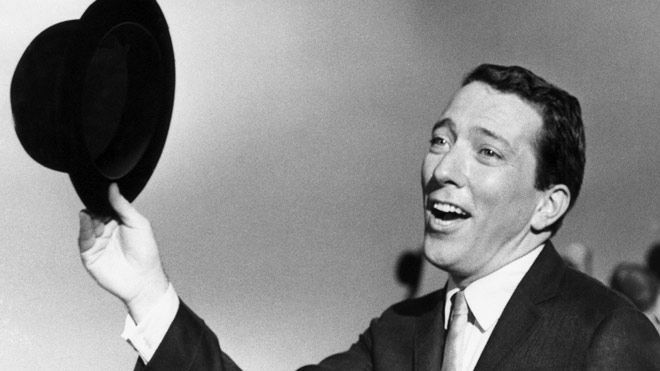 After that, the four brothers went their separate ways. 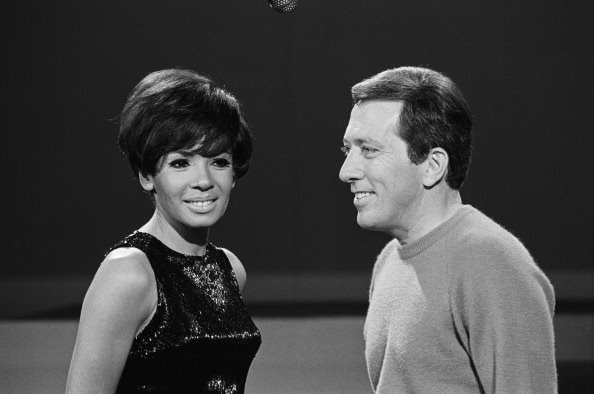 Williams and Thompson, however, remained very close, both personally and professionally. 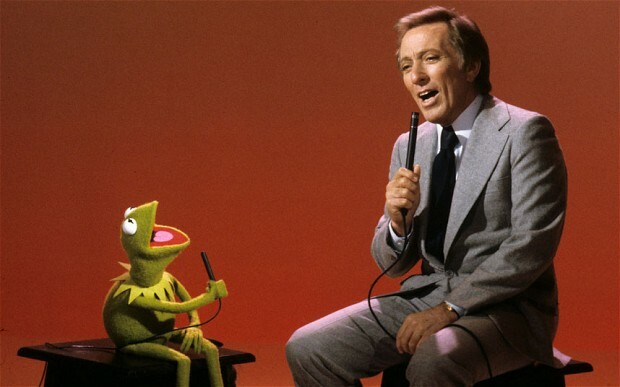 She mentored his emergence as a solo singing star. 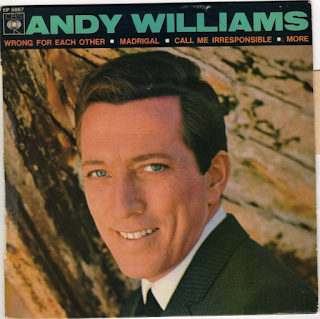 She coached him, wrote his arrangements, and composed many songs that he recorded (including his 1958 Top 20 hit "Promise Me, Love" and, later, "Kay Thompson's Jingle Bells" on his 1964 No. 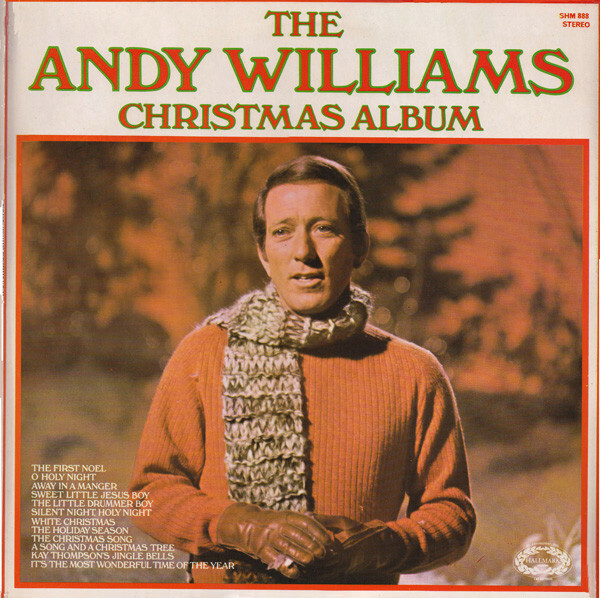 1 The Andy Williams Christmas Album). Using her contacts in the business, Thompson helped Williams land his breakthrough television gig as a featured singer for two-and-a-half years on The Tonight Show starring Steve Allen (it helped that the producer of the series, Bill Harbach, was Kay's former aide de camp). 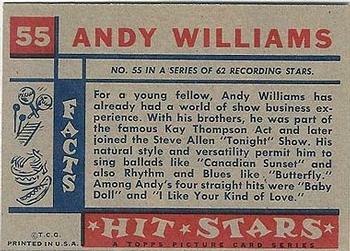 Thompson also got Williams his breakthrough recording contract with Cadence Records. Meanwhile, Williams sang backup on many of Thompson's recordings through the 1950s. Thompson also served as a creative consultant and vocal arranger on Williams' three summer replacement network television series in 1957, 1958, and 1959. 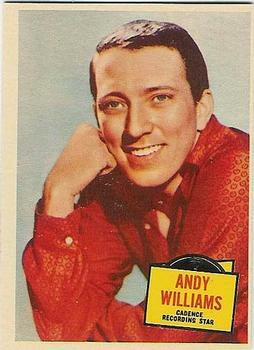 In the summer of 1961, Thompson traveled with Williams and coached him throughout his starring role in a summer stock tour of the musical Pal Joey. 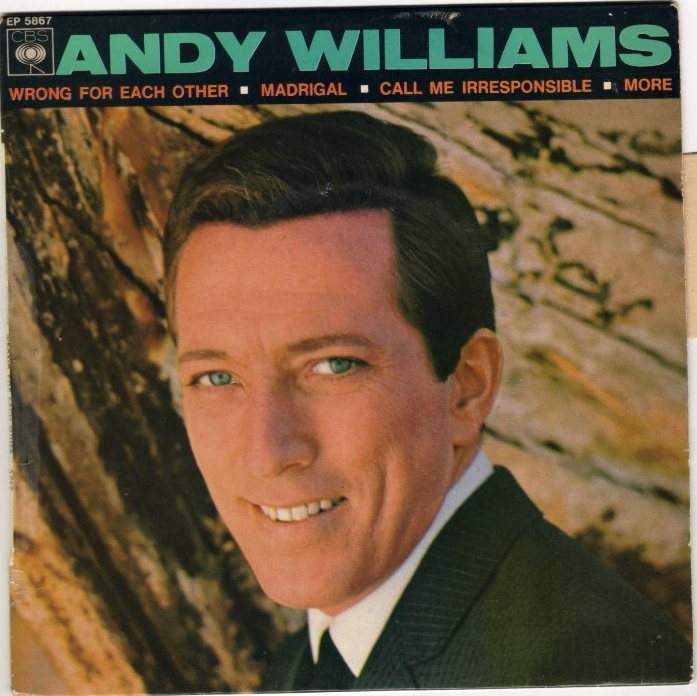 Their personal and professional relationship finally ended in 1962 when Williams met and married Claudine Longet, and Thompson moved to Rome. 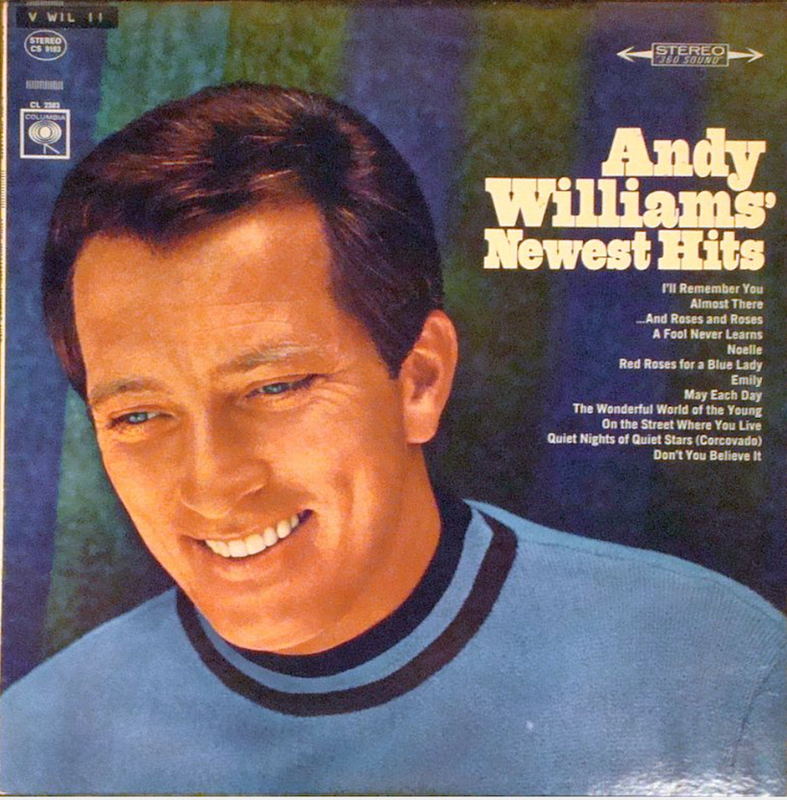 During the 1960s, Williams became one of the most popular vocalists in the country and was signed to what was at that time the biggest recording contract in history. 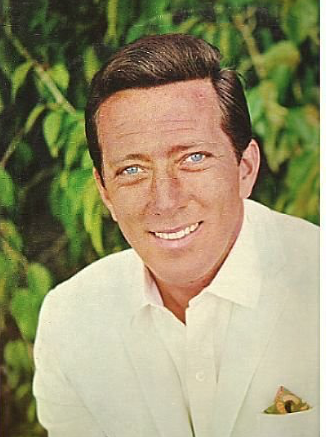 He was primarily an album artist, and at one time he had earned more gold albums than any solo performer except Frank Sinatra, Johnny Mathis and Elvis Presley. 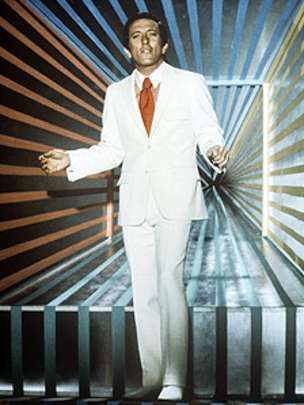 By 1973 he had earned as many as 18 gold album awards. Williams forged an indirect collaborative relationship with Henry Mancini, although they never recorded together. Williams was asked to sing Mancini and Johnny Mercer's song "Moon River" from the movie Breakfast at Tiffany's at the 1962 Oscar Awards. 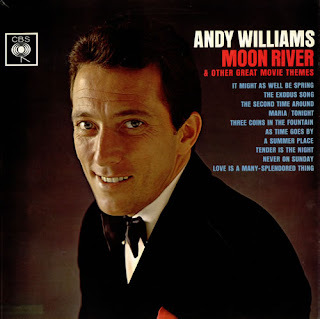 The song won the Oscar and quickly became Williams' theme song; however, because it was never released as a single, "Moon River" was never actually a chart hit for Williams. 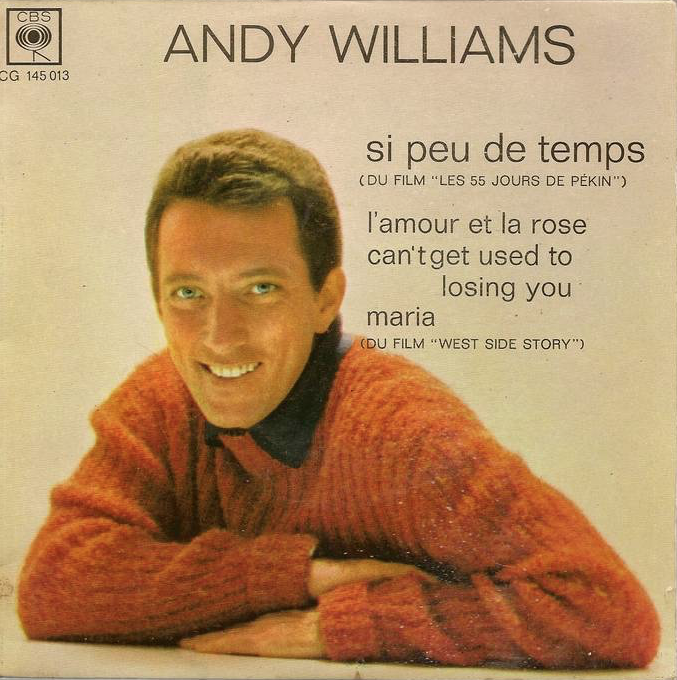 The next year Williams sang "Days of Wine and Roses" which was written by Mancini and Mercer (this song also won). 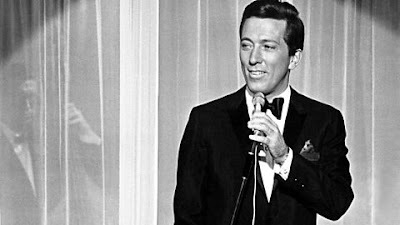 Two years later, he sang Mancini's "Dear Heart" at the 1965 awards and "The Sweetheart Tree" (also written with Mercer) at the 1966 awards. On August 5, 1966, the 14-story, 700-room Caesars Palace casino and nightclub opened in Las Vegas, Nevada, with the stage production of "Rome Swings", in which Williams starred. 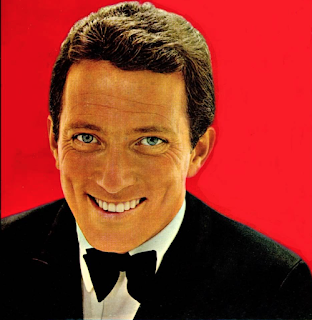 He performed live to a sold-out crowd in the Circus Maximus showroom. He headlined for Caesars for the next twenty years. Building on his experience with Allen and some short-term variety shows in the 1950s, he became the star of his own weekly television variety show in 1962. 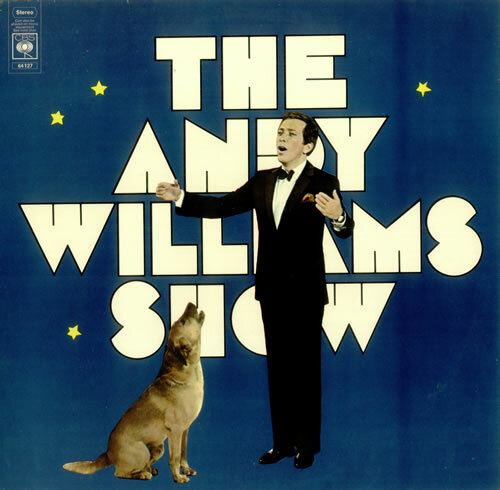 This series, The Andy Williams Show, won three Emmy Awards for outstanding variety program. 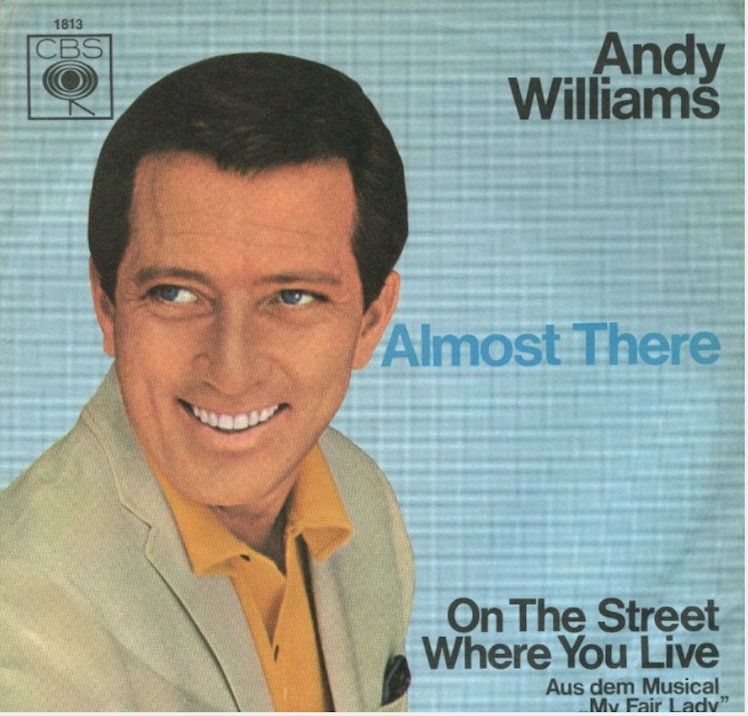 Among his series regulars were the Osmond Brothers. He gave up the variety show in 1971 while it was still popular and reduced his show to three specials per year. 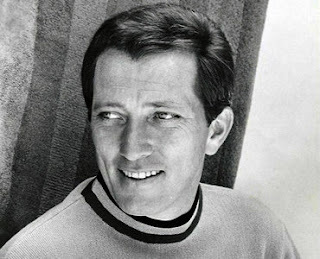 His Christmas specials, which appeared regularly until 1974 and intermittently from 1982 into the 1990s, were among the most popular of the genre. Williams recorded eight Christmas albums over the years and was known as "Mr. Christmas", due to his perennial Christmas specials and the success of "It's the Most Wonderful Time of the Year". Williams hosted the most Grammy telecasts—seven consecutive shows—from the 13th Annual Grammy Awards in 1971 through to the 19th Awards in 1977. 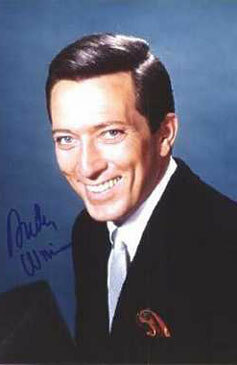 He returned to television to do a syndicated half-hour series in 1976–77. Williams continued to perform live into his 80s. 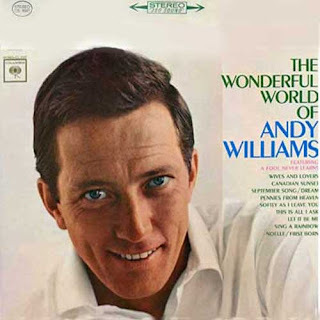 In a 2007 tour of the UK, Williams said that it was this that kept him vital.